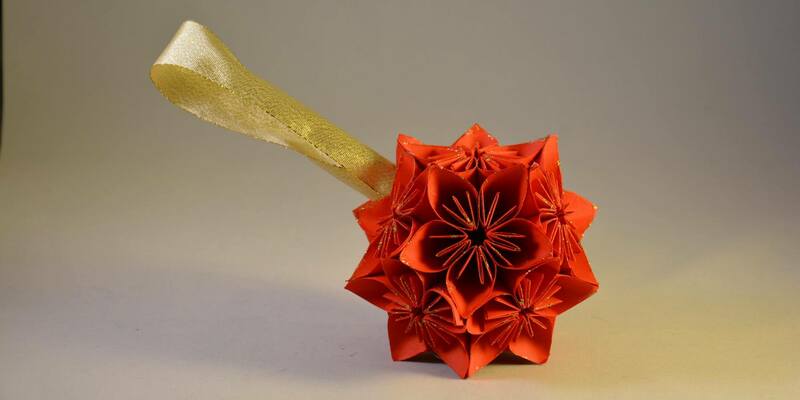 The workshop will teach you how to create a Christmas bauble using origami kusudama or "star" flowers. First steps of the workshop will cover the process of folding paper and creating the individual flowers. Once this technique has been mastered and you have created your set of flowers, you'll learn how to create the flower ball or bauble. After adding the ribbon to hang your bauble you'll have an opportunity to add a some Christmas sparkle with glitter. You'll learn various tips and tricks along the way. And leave the workshop with a gorgeous bauble ready to hang on your tree!